What is the purpose of the High Density Storage? 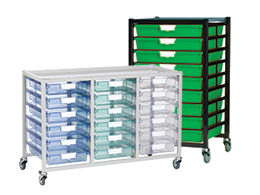 Our High Density Storage unit makes organising and transporting supplies easy. We offer 2 size options and each comes standard with robust construction steel frames. 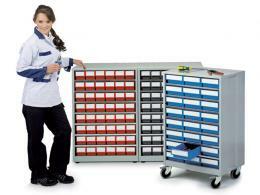 This heavy duty storage system can hold up to 240kg on static units and 150kg on mobile units. The design is sturdy and compact. Where can the High Density Storage be used? Our High Density Storage unit is designed to be used in workshops and commercial businesses. 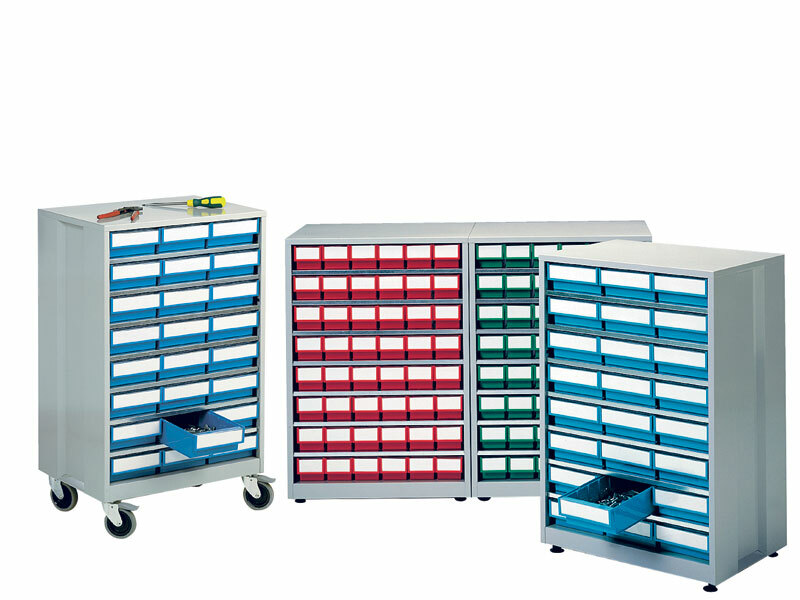 The mobile units are perfect for transporting tools, supplies and parts. The static units would work perfectly behind the counter in a professional office. Each drawer comes with a label for easily identifying contents. Who might use High Density Storage? 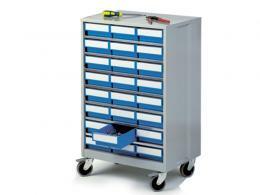 Anyone with a workshop or business looking for a compact and sturdy organisation solution will benefit from this unit. The drawers offer storage for up to 336 different items. Transporting tools, parts and supplies has never been easier. Repairs are simple with the mobile units and supplies are easily organised in the static units behind the desk. Our High Density Storage units come with a standard 1 year parts and labour warranty. Both mobile and static units are available. Each unit comes with coloured bins, backstops and labels on the front. Choose the size of the unit and bin color to meet your needs. This high density storage unit will hold up to 336 items on only 0.25sq m of floor area. We offer free shipping to UK Mainland. Unit will be shipped within 5-10 business days. Order must be placed by 3 pm. Orders placed after 3 pm will be processed on the following day.